The prize-winning, bestselling author of Boy, Snow, Bird and What Is Not Yours Is Not Yours returns with a bewitching and imaginative novel. Perdita Lee may appear to be your average British schoolgirl; Harriet Lee may seem just a working mother trying to penetrate the school social hierarchy; but there are signs that they might not be as normal as they think they are. For one thing, they share a gold-painted, seventh-floor walk-up apartment with some surprisingly verbal vegetation. And then there's the gingerbread they make. Londoners may find themselves able to take or leave it, but it's very popular in Druhástrana, the far-away (or, according to many sources, non-existent) land of Harriet Lee's early youth. 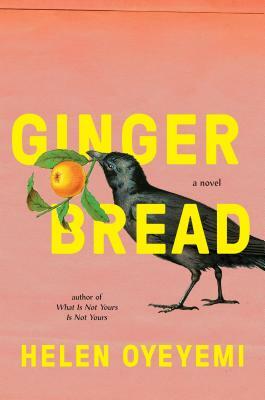 The world's truest lover of the Lee family gingerbread, however, is Harriet's charismatic childhood friend Gretel Kercheval —a figure who seems to have had a hand in everything (good or bad) that has happened to Harriet since they met. Helen Oyeyemi is the author of the story collection What Is Not Yours Is Not Yours, along with five novels—most recently Boy, Snow, Bird, which was a finalist for the 2014 Los Angeles Times Book Prize. She received a 2010 Somerset Maugham Award and a 2012 Hurston/Wright Legacy Award. In 2013, she was named one of Granta's Best Young British Novelists.